for people to get up to speed? well. There wasn't one when I joined. I think the parallels to the Perl 6 community are so clear that I don't even need to point them out. 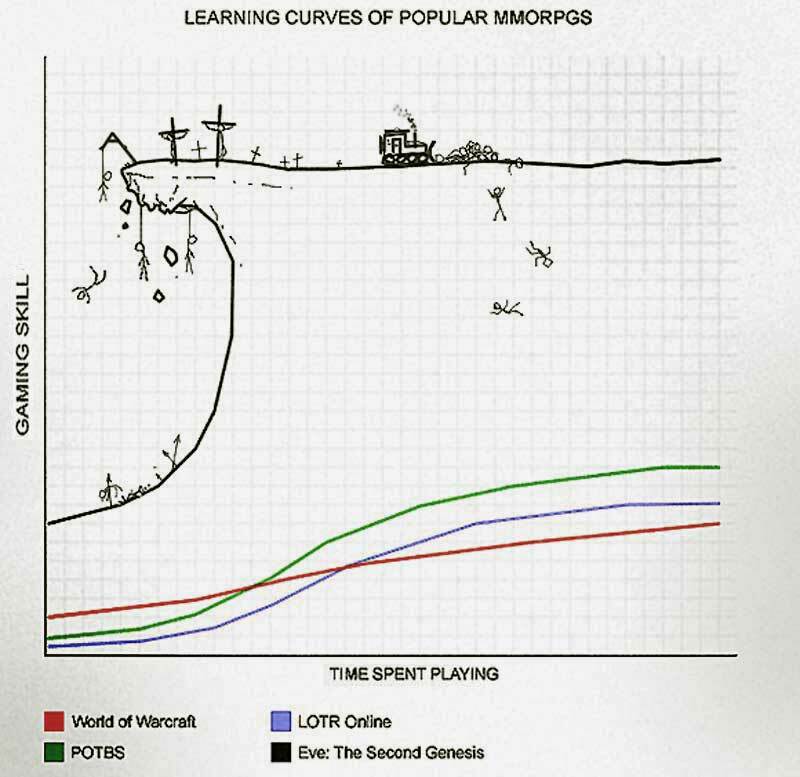 The Perl 6 community has the structure of a MMORPG. We have just as much fun, and — what's perhaps more important — the bits we're putting together won't end up being owned by Blizzard Entertainment or CCP Games. Instead, we're building something that we ourselves and others will find directly useful during a large part of our lifetimes. I'm not out to devalue online multiplayer roleplaying games, just pointing out that there's perhaps an extra dimension to the acheivement we get to feel in the Perl 6 community. Just for the heck of it, let's take the analogy one step further. So, you want to join the Perl 6 community? If so, congratulations! You're about to embark on a quest that will seriously impact your day life, your habits and your sleep patterns. You will be building things, fighting unknown dangers, and communicating with your peers in order to make sure people are maximizing the benefit to the team and to the quest. One who actually fights the creatures out there, who braves new, possibly lethal dangers every day. In short: a Perl 6 application writer. Being a warrior requires strength (you will have to hit the keyboard a lot when writing all the code, and the code will mercilessly hit you back... often), some dexterity (because working around known bugs requires adaptability) and perhaps a bit of charisma (should you want to collaborate with people, it's good to be pleasant). We're currently on the lookout for warriors, so if you think you have it in you, be sure to stop by #perl6 and help us equip you for the perilous quest you have before you. The priest is important for the group, but doesn't put himself in the way of direct danger like the warrior. Instead, they perform vital tasks with their hands at a safe distance. In the Perl 6 world, priests submit bug tickets, write tests and answer newbie questions on the #perl6 channel. Being a priest requires intelligence (because their job is mainly to increase the collective knowledge of the group), constitution (because it's a lot of work) and perhaps a bit of charisma (so we don't bite the newbies). I must say that I admire the priests. The impressing thing isn't in the incantations themselves, which are individually quite basic. The impressing thing is that their favour from the gods doesn't seem to run out. moritz++ and KyleHa++ especially come to mind. I'm sure there are slots for a few more priests too. In the flurry of activity during a quest, the mages are the ones who wield forceful spells in the form of new features in our implementations. The mages know some pretty hefty incantations, but they speak in codes (like "Haskell", "Parrot" or "Lisp") so that us mere non-initiates can only stand by in admiration when they get going. Being a mage requires wisdom (because, hey, you're implementing a compiler), intelligence (in figuring out how to fix the bugs and still pass the test suite), and constitution (because it's a lot of work). Learning to be a mage looks nigh-impossible, but our mages assure us that there's actually not that much to it. And the rewards are of course enormous: you get to have an incantation of yours immortalized in millions of installations around the world. Some people are in the group to make sure the group is doing well, and that no-one is critically low on hit-points. Discussions can sometimes get heated or sharp, by which point we're very glad to have the people around who are specially trained to see beyond the ego and help us focus on the important parts of the picture. We simply need to be reminded at times, that we're (as S01 expresses it) "a bunch of ants all cooperating (sort of) to haul food toward the nest (on average)". We don't need to agree always on everything, but keeping the group coherent is important, and healers do their magic in the background to help us with that. Being a healer requires wisdom (to know where and when to intervene), intelligence (to know to pick the right soothing words), and plenty of charisma (to get it across that -Ofun is what we're optimizing for). I think many people jump in as healers now and then during our quest, but we also have one permanently employed high-level healer among us. TimToady++. As for long-distance influence, and reaching outside of our own circles, the archer fills the important role of blogging, tweeting, iron-manning and generally making a positive noise about Perl 6, which can reach people far away. Being an archer requires strength (again, typing is hard, and commenters/other bloggers might shoot back at you), and dexterity (you need to be fluid in expressing yourself). Having intelligence, wisdom and charisma — something I as a simple warrior often find myself wanting more of in my blogging — is not a necessity, but sure helps in getting your point across. The Perl 6 community is on a pretty awesome quest. If you'd like to enter as one of the above classes, you're sure to find your place as a productively contributing members. Filling several roles is perfectly fine too, but people tend to find their specialties and favourites. As to when we'll be "done", who knows? When is an MMORPG "done"? All we know is the quest we're on until April is our most ambitious yet, and that it's guaranteed to be an interesting set of months on #perl6 until then.